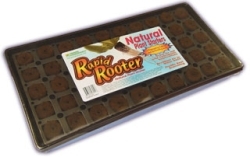 Rapid Rooter Grow Plugs are a sponge like material, all natural soilless organic grow plugs made of composted tree bark and organic materials. These biodynamic plugs are perfect for seedlings or cuttings. 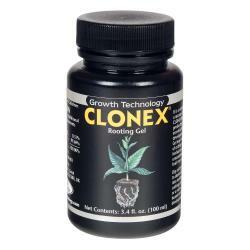 Transplant plugs in soil or soilless hydrogardening applications. 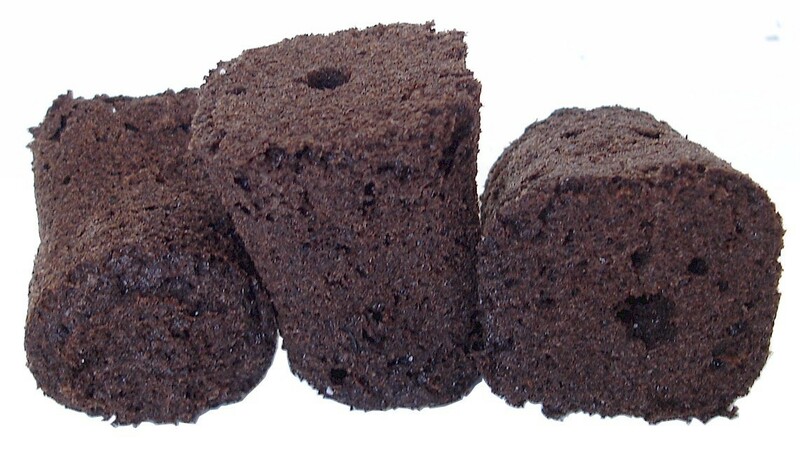 Grow Plugs are manufactured with a proprietary composting method and contains natural beneficial fungi from this advanced composting biotechnology. 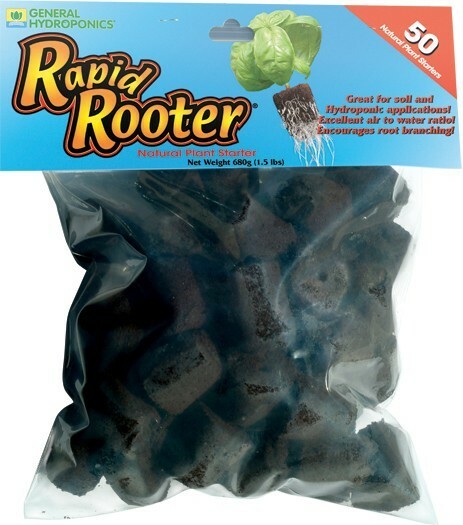 Seedlings and cuttings grown in Grow Plugs will be able to transplant days ahead of plants started in Jiffy 7, Rockwool, Oasis, or Pro Mix. 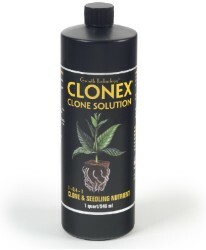 Grow Plugs are biodegradable and 100% organic. 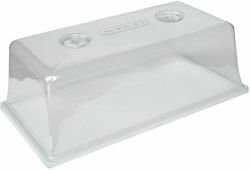 Soak plugs in water or mild nutrient to re-hydrate. Place seed or cutting in center hole of plug. Keep about a quarter inch of water in bottom of tray to maintain plug moisture. 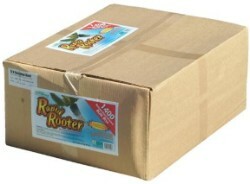 When roots appear plugs are ready to be transplanted. plugs are 1.5 inches (38 mm) across the top and 1.75 inches (44 mm) tall. Not for sale in the following location(s): GA, ID, NH, PR, VA.